REDMOND, Wash.--(BUSINESS WIRE)-- Nintendo kicked off its presence at the E3 video game trade show in Los Angeles this morning with the first in-depth look at gameplay from The Legend of Zelda: Breath of the Wild, and the Pokémon Sun and Pokémon Moongames. Nintendo Treehouse: Live dedicated the rest of its schedule for the day to showcasing more content from The Legend of Zelda: Breath of the Wild. The massive demo for E3 represents just a fraction of the total game, but beyond the physical size of the demo is the depth of the experiences offered, which go well beyond the expanse of the map. 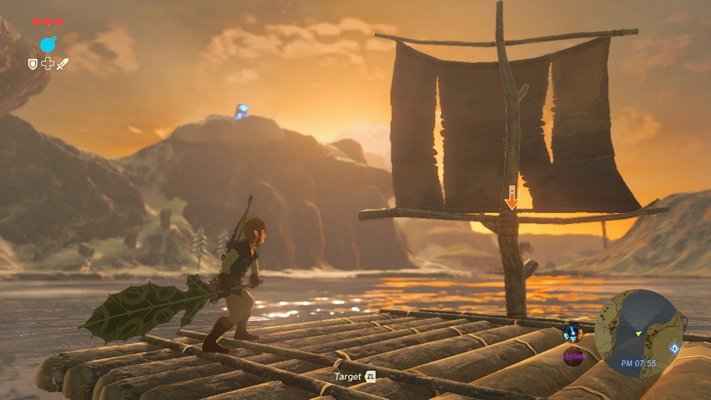 Even with a full day of demos, Nintendo only began to scratch the surface of this stunning open-air adventure. Here’s a quick recap of just a few of today’s highlights. For even more details aboutThe Legend of Zelda: Breath of the Wild, visit //e3.nintendo.com/videos to watch individual Nintendo Treehouse: Live segments and more. amiibo Compatibility: A new series of detailed amiibo figures specific to the game were announced this morning, and Treehouse staff finally revealed how the Wolf Link amiibo from The Legend of Zelda: Twilight Princess HD will connect to the game. When players tap a Wolf Link amiibo to the Wii U GamePad controller, Wolf Link will join Link to attack enemies on his own. He initially has three hearts, but players can raise his heart count by completing the Cave of Shadows and carrying over the save data fromThe Legend of Zelda: Twilight Princess HD. Wolf Link can be summoned once a day, and disappears when his hearts run out. However, you can use Wolf Link again the next day. Nintendo NY: Hundreds of fans visited the Nintendo NY store in New York today to get their first look at The Legend of Zelda: Breath of the Wild in person. Through June 19, 500 lucky fans will get the chance to play the game, and game experts from Nintendo will conduct guided demos for others to watch, bringing the Nintendo experience at E3 to the East Coast. Nintendo Treehouse: Live begins at 10 a.m. PT on Wednesday, June 15 with a special Pokémon GO developer Q&A, and concludes its programming at E3 with a showcase of previously announced Wii U and Nintendo 3DS games, including Paper Mario: Color Splash, YO-KAI WATCH 2: Bony Spirits and YO-KAI WATCH 2: Fleshy Souls,Rhythm Heaven Megamix, Tokyo Mirage Sessions #FE, Monster Hunter Generations and Dragon Quest VII: Fragments of the Forgotten Past. The broadcast will also include the introduction of a new role-playing IP for Nintendo 3DS. Nintendo Treehouse: Live can be viewed at //e3.nintendo.com. For more information about Nintendo’s activities at E3, visit //e3.nintendo.com.